Motorola launched Motorola Milestone XT720 aka MOTOROI in Europe, India and other Asian counties. 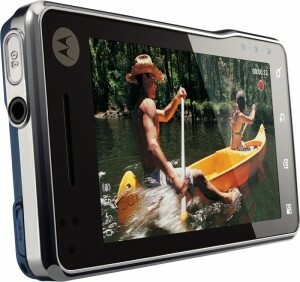 The Motorola Milestone XT720 is an Android 2.1 smartphone that includes an 8MP digital camera. It is also the first Android that comes with a Xenon Flash for the camera. Unlike other Motorola Android phones, Motorola Milestone XT720 doesn’t include the MotoBlur user interface. The device is somewhat similar to the original Motorola Milestone (Also Droid in US), but its doesn’t have the QWERTY keypad. The price range of the MILESTONE XT720 falls in the category of Nexus one, Samsung Galaxy S, HTC Desire, and the original Milestone. Motorola MILESTONE XT720 comes with a 3.7 inch, 480 x 854 pixel, capacitive touch screen. It supports multi-touch inputs and accelerometer auto-rotation. As we said earlier, Motorola MILESTONE XT720 doesn’t include the QWERTY keypad found in the original MILESTONE. However, the weight of the phones is almost similar due to the addition of a Xenon Flash. The 8 MP camera in 480 x 854 pixels MILESTONE XT720 can record 720p HD videos, and there is an HDMI output that can be used to output the media to an external HD device. Motorola MILESTONE XT720 uses an ARM 720 MHz processor that is much better when compared with the ARM 600 MHz used in Milestone. New MOTO Milestone is a quad-band GSM/ dual band 3G device that supports download speeds up-to 10.2 Mbps on HSDPA network. Other features of Motorola MILESTONE XT720 includes 3.5 mm headphone jack, 150 MB phone storage expandable up-to 32GB via card (8GB included), 512 MB RAM, 512 MB ROM, MOTONAV navigation with A-GPS, WiFi, Bluetooth, Google apps, FM radio, compass, flash player and 1400 mAh Li-Po battery. Motorola recently launched Motorola MILESTONE XT720 in India. The device is not yet available in all retail stores. However, you can buy Motorola MILESTONE XT720 from eBay stores under a price range of 29000-32000 INR.